The two that are one must become the one that is all. One to save the world, one to destroy it. Nicholas and Perenelle Flamel have one day left to live, and one job left to do. They must defend San Francisco. The monsters gathered on Alcatraz Island have been released and are heading toward the city. If they are not stopped, they will destroy everyone and everything in their path. But even with the help of two of the greatest warriors from history and myth, will the Sorceress and the legendary Alchemyst be able to defend the city? Or is it the beginning of the end of the human race? Sophie and Josh Newman travelled ten thousand years into the past to Danu Talis when they followed Dr John Dee and Virginia Dare. And it’s on this legendary island that the battle for the world begins and ends. Scathach, Prometheus, Palamedes, Shakespeare, Saint-Germain, and Joan of Arc are also on the island. And no one is sure what—or who—the twins will be fighting for. Today the battle for Danu Talis will be won or lost. But will the twins of legend stand together? Or will they stand apart—one to save the world and one to destroy it? After six years, I have finally finished The Secret of the Immortal Nicholas Flamel series. Though now I wonder if the name of the series is actually true. Well, I’m guessing Nicholas Flamel is pretty famous for being famous, I think it’s a right name to attract people. Although not everything is about Nicholas Flamel here. He did play a big role, though not as big as the twins, Josh and Sophie Newman. After The Warlock, I took several months rest before reading the last book of this book series. I read The Enchantress is longer than I have expected, but also I am quite shocked during the last 250 pages, I am able to finish it in just 2 days. I took a long time in the first 250 pages. I guess it’s because of the story in the beginning chapters through the middle chapters, it’s kind of slow—not boring, just slow. I mean, with so many characters in so many places, each chapter is jumped off from one another, making the progress of the story is pretty slow. In my mind, I kept thinking when the real battle will start and so on. But then, after passing the first 250 pages, it’s getting more and more exciting. I am more curious than ever and finally decided to stay late just to read the next chapters. I am glad and also quite sad when it’s all over. It’s like departing with your old friend. I’ve been reading the series for 6 years now—I know, I kind of a slow reader in this one—therefore, I am quite used to read all the characters, even though most of the time I forgot most of the characters’ name. So it’s sad and glad at the same time. After reading this last book, the ending is somehow a bit unexpected. I have guessed but I never knew my guess would turn out to be right. Not about the ending story, more about guessing the mysterious character here. It’s rather confusing but somehow fitting as well. I like how some characters change and I think the changing is rather good and satisfying. Some goodbyes are there, but that’s life, right? You’ll have hellos and goodbyes here and there. Anyway, the ending in The Enchantress is certainly unexpected. At least it’s not like I thought it would be, even though I also don’t know what am I expecting anyway. But I am certain that this is not the ending that I thought it would be. It’s not bad, it actually makes a lot of senses. Therefore, I am not going to protest anything. 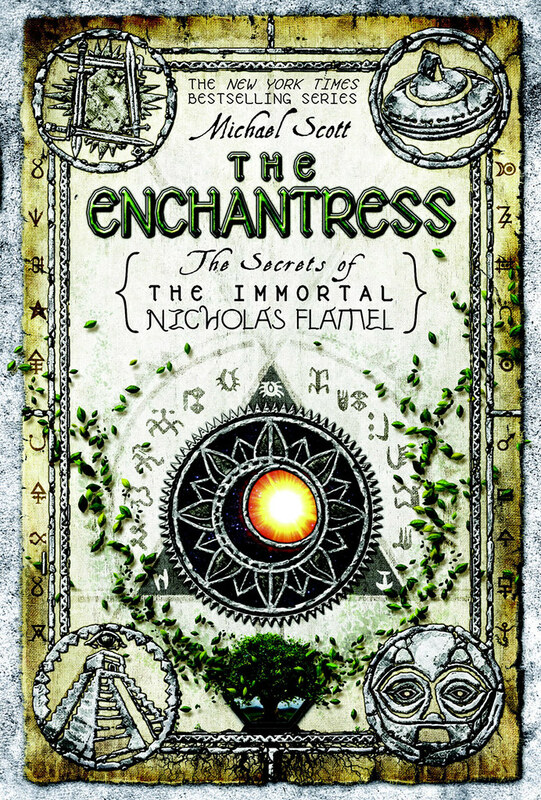 I give The Enchantress 3.5 out of 5 stars.